These past couple of months have been a roller coaster of emotions. I cannot contain the myriad of feelings I have experienced. And now, I am adding EXCITEMENT. I think I am finally coming from beneath the grey skies of the break-up with my ex. Fo real, fo real. I am not just saying that like I did in previous posts. I really mean it. We really are done and because I have come to that realization, I think everything will be alright. I am not going to be bitter because if he wants to walk away from me, I respect that. It is not a judgement on my ability to be a good person. In fact, I respect that he had the courage to follow his most genuine desire and move in the direction of where he sees his life going even if it meant breaking up our marriage. Of course, it could have also gone the other way where he actually put in the work to make US work again but I will not mourn that anymore. My life is too fabulous now for me to even consider what NOT breaking up would have looked like. I have such a clear path ahead of me and it invigorates me, it frees me, it gives me brand new eyes to see that there are an infinite number of possibilities. This is not to minimize what I had with my ex but I felt like a dog on a leash. I had/have so many dreams and ambitions that I have for myself (for us) and I just felt like he would yank it when my ideas were a little too risky. Since we have parted ways, I feel a new sense of EXCITEMENT and that little girl I was - the one that could do ANYTHING, the one with IMAGINATION and CREATIVE PASSION - she is back with a vengeance. I rise and flourish in spite of the heartache and turmoil that I am experiencing. Other things have also synced in my life that has filled my heart with hope, EXCITEMENT, and new found joy. And I wonder how I ever did without it for so long. Sometimes it be like that. 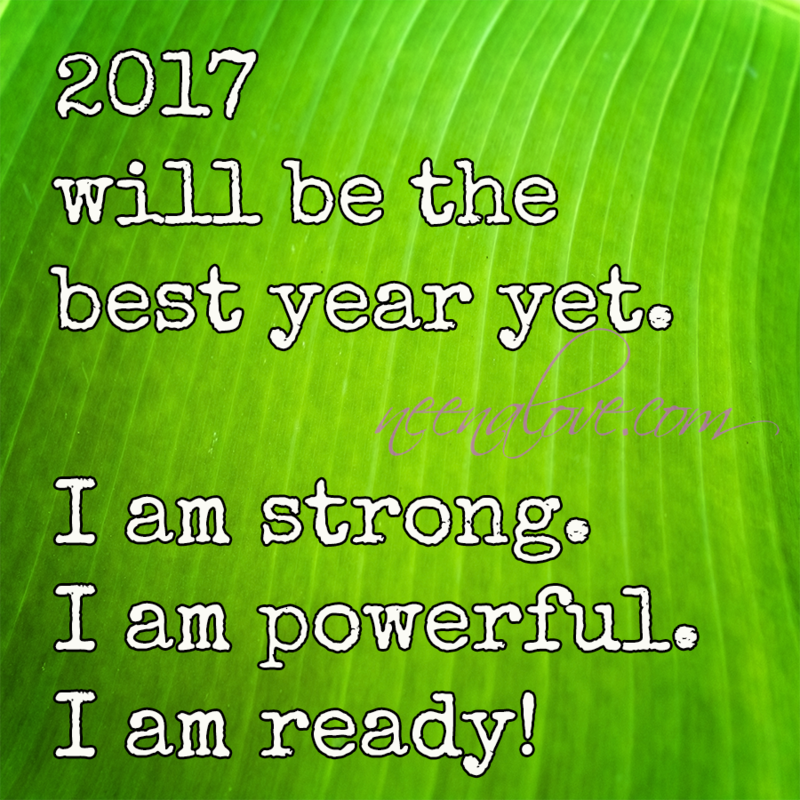 2017 will be the best year yet. I am strong. I am powerful. 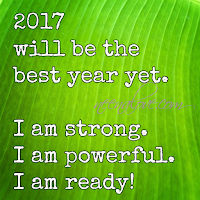 I am ready!